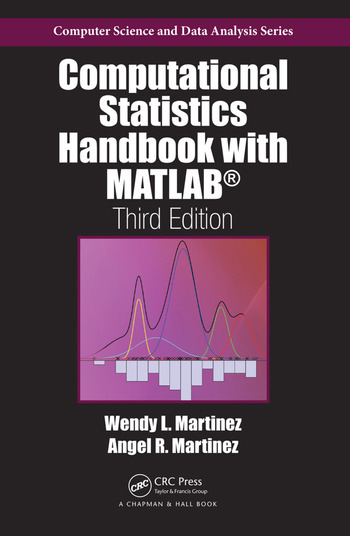 Computational Statistics Handbook with MATLAB®, Third Edition covers today’s most commonly used techniques in computational statistics while maintaining the same philosophy and writing style of the bestselling previous editions. The text keeps theoretical concepts to a minimum, emphasizing the implementation of the methods. This third edition is updated with the latest version of MATLAB and the corresponding version of the Statistics and Machine Learning Toolbox. It also incorporates new sections on the nearest neighbor classifier, support vector machines, model checking and regularization, partial least squares regression, and multivariate adaptive regression splines. The authors include algorithmic descriptions of the procedures as well as examples that illustrate the use of algorithms in data analysis. 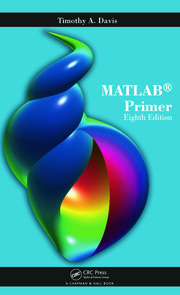 The MATLAB code, examples, and data sets are available online. 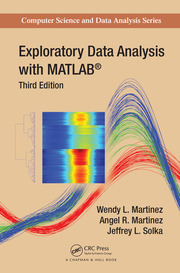 MATLAB® Code, Further Reading, and Exercises appear at the end of each chapter. Wendy L. Martinez is a mathematical statistician with the U.S. Bureau of Labor Statistics. She is a fellow of the American Statistical Association, a co-author of several popular Chapman & Hall/CRC books, and a MATLAB® user for more than 20 years. Her research interests include text data mining, probability density estimation, signal processing, scientific visualization, and statistical pattern recognition. She earned an M.S. in aerospace engineering from George Washington University and a Ph.D. in computational sciences and informatics from George Mason University. Angel R. Martinez is fully retired after a long career with the U.S. federal government and as an adjunct professor at Strayer University, where he taught undergraduate and graduate courses in statistics and mathematics. Before retiring from government service, he worked for the U.S. Navy as an operations research analyst and a computer scientist. He earned an M.S. in systems engineering from the Virginia Polytechnic Institute and State University and a Ph.D. in computational sciences and informatics from George Mason University. "… useful as a reference where one can look to get a concise description of a statistical methodology and MATLAB code that can be used to implement it … the book is excellent." "My own brief assessment of the book leaves me impressed with the number of subjects covered … the book can be a valuable reference to practicing statisticians (or statistical researchers) using MATLAB as their computing engines." "… this book is perfectly appropriate as a textbook for an introductory course on computational statistics. It covers many useful topics, which in combination with the well-documented code, make the underlying concepts easy to grasp by the students. … a very nice book to be used in an undergraduate- or masters-level computational statistics course. It would also prove useful to researchers in other fields that want to learn and implement quickly some advanced statistical techniques." 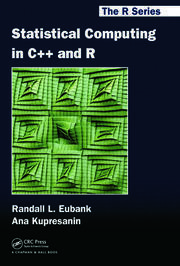 "I am pleased to see the publication of a comprehensive book related to computational statistics and MATLAB. … this book is ambitious and well written. As a long-time user of MATLAB, I find this book useful as a reference, and thus recommend it highly to statisticians who use MATLAB. The book also would be very useful to engineers and scientists who are well trained in statistics."